LONDON—Following Thursday’s announcement that Ecuador will grant him political asylum, WikiLeaks founder Julian Assange told reporters that not even he is totally sure what his legal situation is right now. 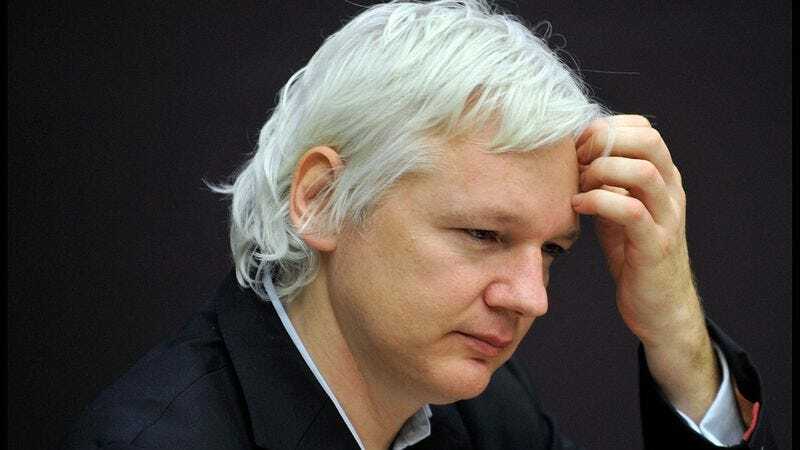 “So wait, what exactly is my current status, and which countries can I go to?” asked Assange, adding that he is also “pretty hazy” on the outstanding criminal charge, or charges, against him at this point. “I think I’m wanted for questioning in Sweden, but if I go there they can apparently extradite me to the United States or something? And I guess I’m allowed to go to Ecuador, of all places, but then I also can’t for some reason? I honestly don’t know anymore.” At press time, Assange told reporters the only thing he is completely certain of is that he has a website.